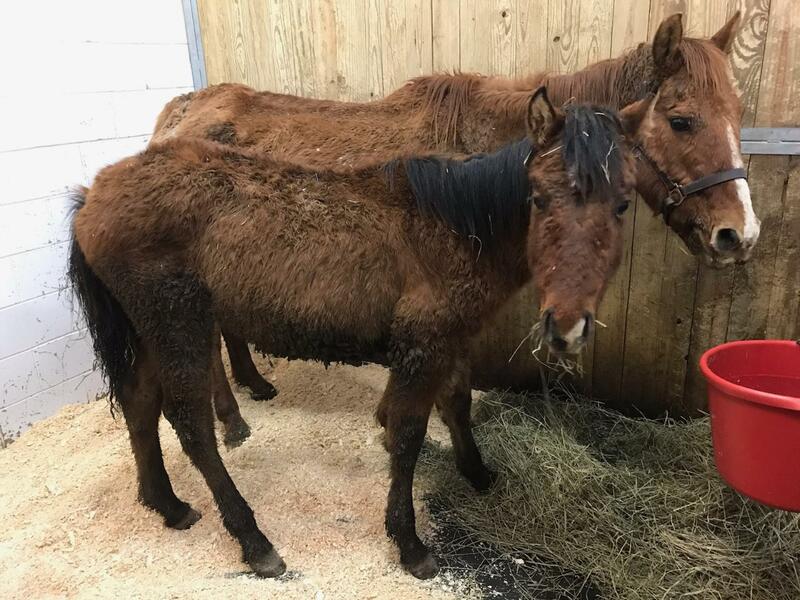 This sorrel mare came to MHARF during a late March 2019 Fillmore County humane case. She was extremely emaciated at intake and had an older bay colt at her side. The colt has now been weaned and she is able to put all of the calories she is receiving towards gaining weight. This poor older mare (in her late teens) is not so sure she wants a lot to do with people right now. She has some trust issues and definitely needs a place with experienced horse people. 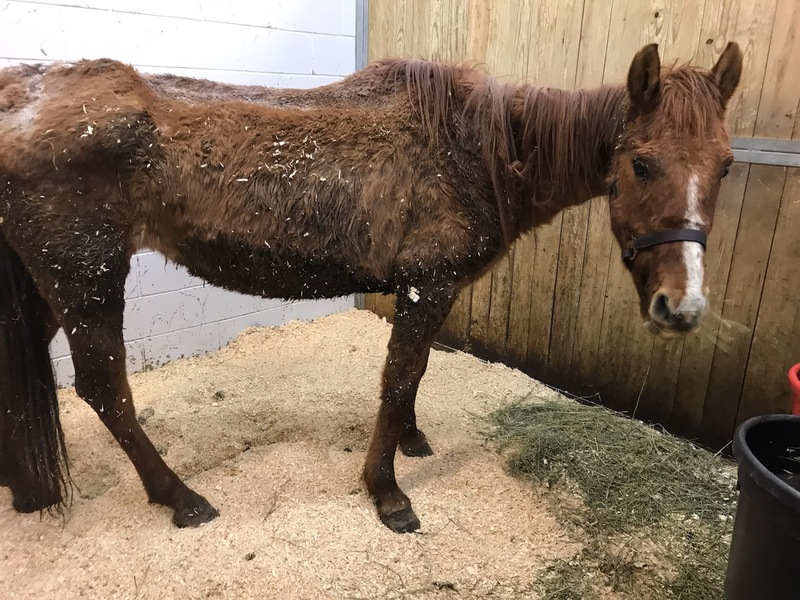 We will be looking for a foster or adoptive home for her–some place where she can have her own safe space and access to her own food without having to defend it from other horses. To read more about this case, please see the links to media coverage on our Home Page.